This SEO-friendly Wordpress theme displays categories in tags, and shows on the home page the lists of last posts for each category. Has a fluid layout with min and max limits. It is easy to modify (tutorial on the site). 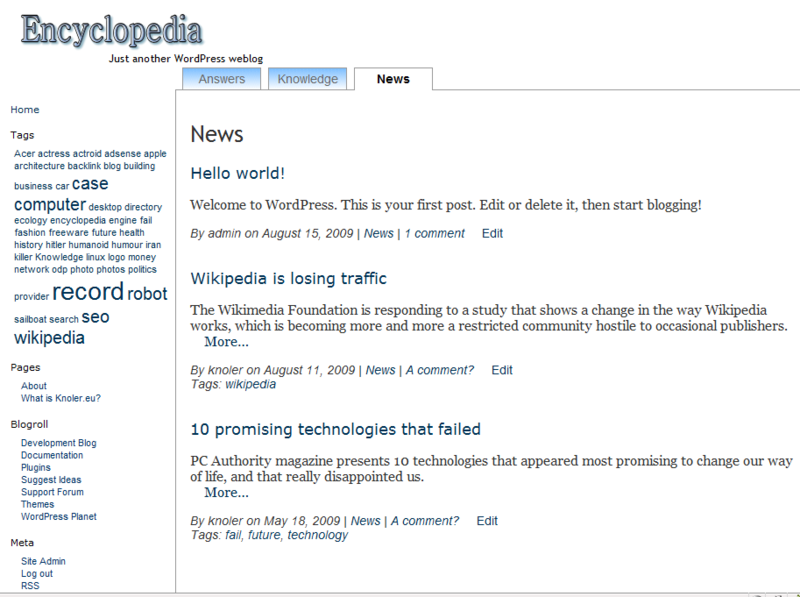 Encyclopedia is best suited for a blog or an encyclopedic website with a small number of categories.